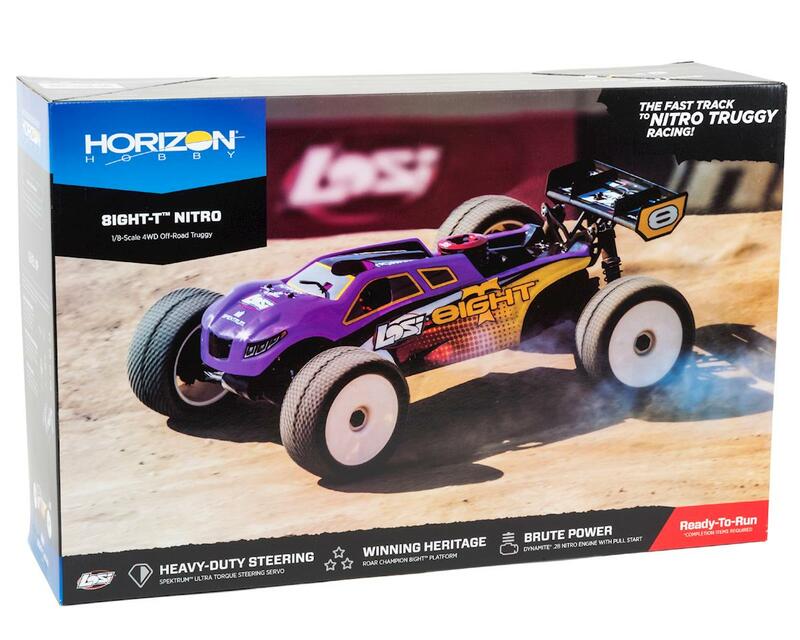 The Losi 8IGHT-T Nitro 1/8 4WD RTR Truggy is for anyone that is serious about becoming a competitive nitro buggy racer. 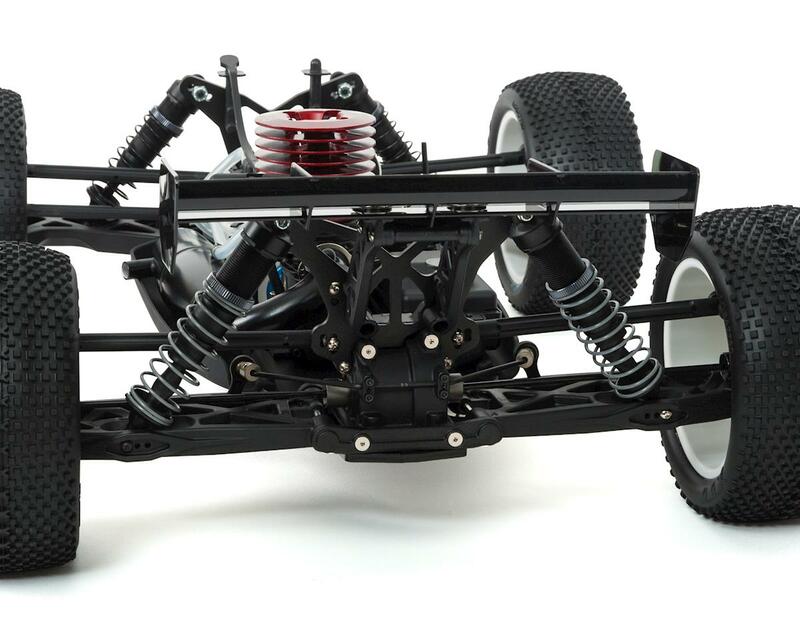 The 8IGHT-T Nitro Truggy RTR comes completely assembled and equipped with the brute power of a Dynamite .28 nitro engine. 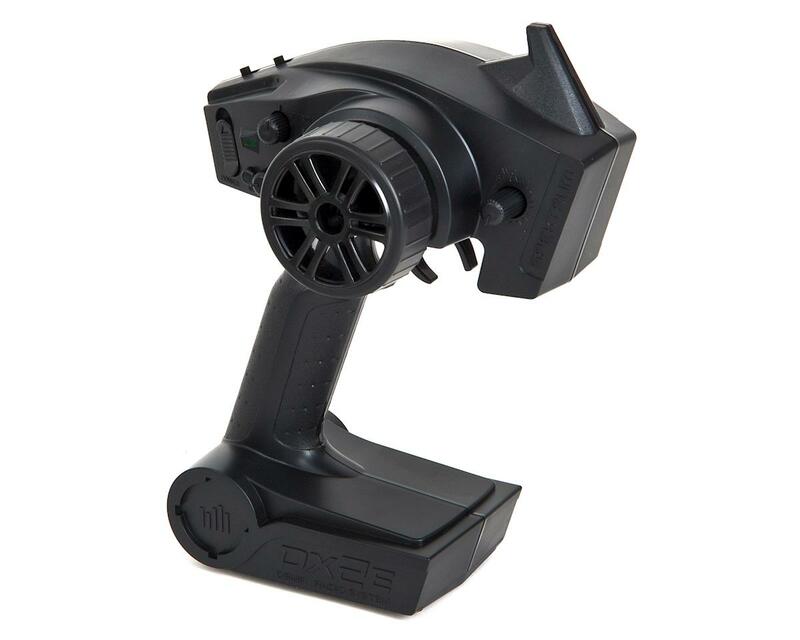 Power is nothing without control and the 8IGHT-T RTR delivers the precise response of a Spektrum DX2E DSMR radio system, Gen III Radio Tray, and pre-set suspension setup that shares the same geometry team drivers use on their 8IGHT-T Trucks. 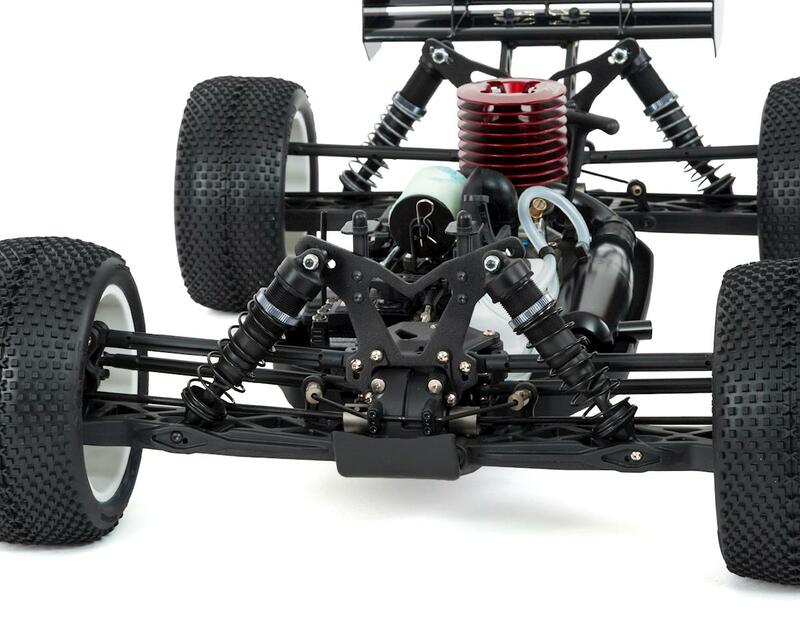 As your skills progress and you gain more racing experience, you can gradually upgrade the vehicle's performance with many of the 8IGHT-T option parts currently available. This is hands down the very best nitro rtr truggy available. 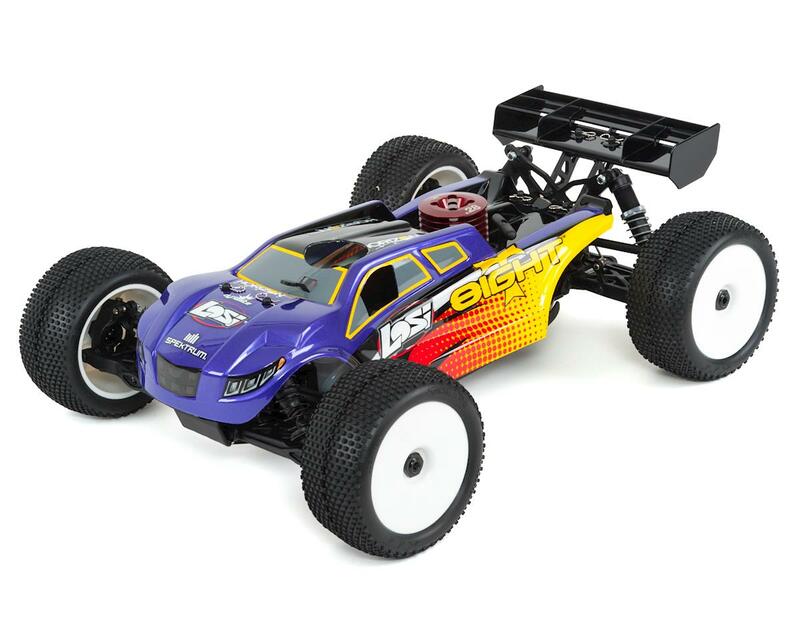 I already own a few of losi's nitro models so I knew this one was gonna be good but it exceeded my expectations! Once you break the engine in it's a rocket , easy to tune and runs pretty cool. It handles very well and is very predictable in the air. The only problem I've had is the short life of the stock one way bearing but I'm looking into getting losi's starter box so hopefully that solves that. Excellent price and great performance. If you are looking for an rtr truggy you would be a fool not to get this one. The best RTR truggy ever made as of now in 2017. The stock glow plug lasted a couple of tanks, then required to be replaced. But after 10 tanks through this truggy its pretty much flawless and durable. I will be racing this truggy soon at a local track to see where it stands for competition. 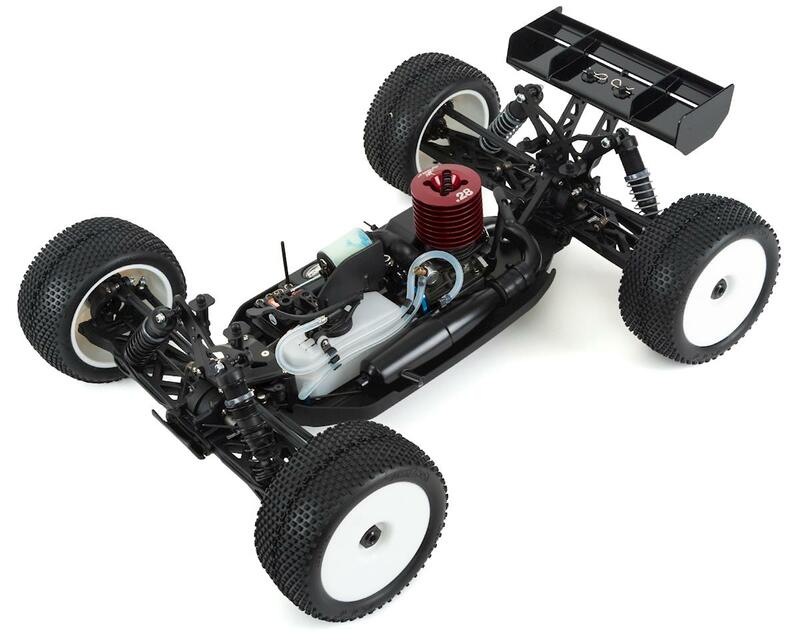 I have wanted a Nitro Truggy for a longtime, I have owned Nitro RTR's when I was a kid, but I never took the time to break one in and always had problems. The 8ight-t is a great RTR for anyone from novice to advanced, I use to run electric 1/10th touring, and nitro is so much funner. 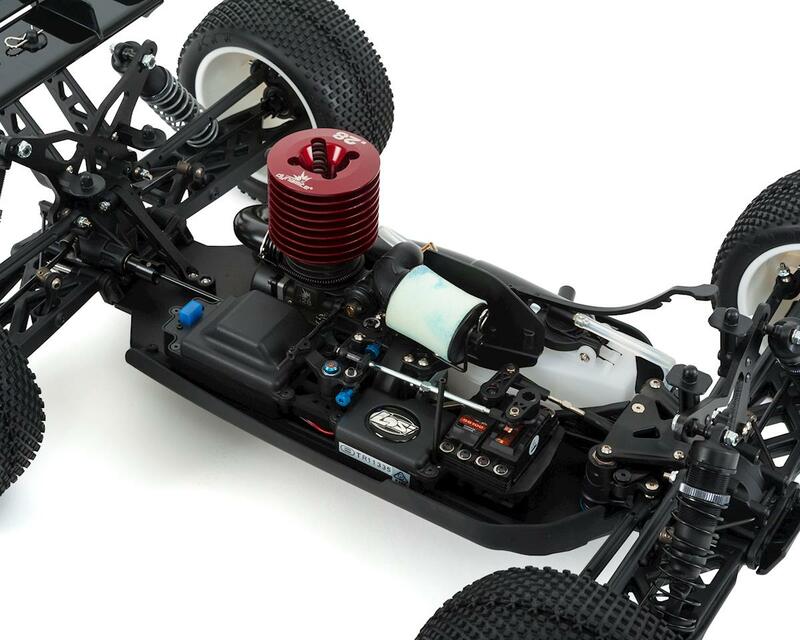 The Dynamite .28 is a great motor, when I bought the 8t I bought the Losi 8t starter box and the Dynamite Pull start Eliminator backplate. I also bought Spektrum S6290 and S6280 servos, a Protek lipo rx battery, batteries for the starter box, and a Hitec X2 charger. I am going to upgrade to the Kit TLR parts and put in a Novarossi Roma 7 with time, but for now I am happy with the Dynamite .28. I am still breaking it in, I have marked the flywheel for bottom dead center with a sharpie, thermo cycled the engine 4x, and run 1 tank of fuel through it at idle. 3 or 4 more tanks at idle and I will start applying some throttle in 1/4 increments per tank. I am using Traxxas 20/20 blend for break in, but I will run Byron 30/11 once it's all broken in. I also use 3 in 1 oil before starting the engine, and after run oil when I am done, always make sure to put the piston at bottom dead center when your done running (the flywheel will rock side to side easily when the piston is out of the sleeve) especially during break in, cause as the motor cools it can compress the piston and lock up the motor or damage the piston. Overall I am very happy with my purchase, I can't wait to smoke some 6s lipo trigger at the track. Bought this truggy about 3 months ago. This thing is a tank. I have put over 30 tanks through it and have yet to break a single part. This is my first nitro. The learning curve on it was really easy. Definitely a must buy if your looking for a nitro rtr.